What is your পছন্দ nickname? 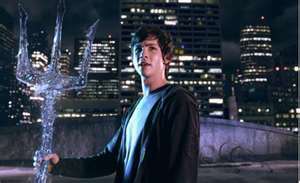 What grade do আপনি give for Percy Jackson? Who becomes the head of Hermes কেবিন after Luke? After Blood of Olympus, will Percy return to Camp Half Blood অথবা will he continue with his new life in Camp Jupiter??? আপনি know it amazing what NORMAL humans don't see. I am not a normal human, I can see through the Mist. My name is Rachel Elizabeth Dare, and I am the Oracle of Delphi. Yeah, its can creep other demigods out but, Hey, I get this AWSOME room and I can hang out whit my BFF's. Another plus is that I can stay away from my father ... ugh, I hate him, such a nature hater. a comment was made to the poll: Who would আপনি rather be a child of? a question যুক্ত হয়ে ছিল: what happens after the volume 5 ?? Which member of The Big Three is Percy's father?